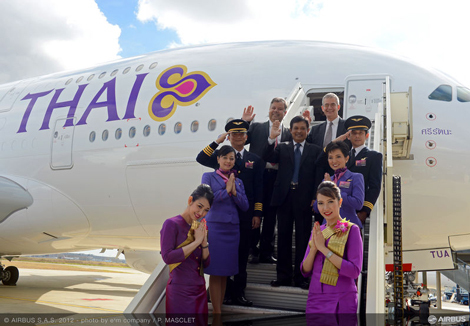 Thai Airways has taken delivery of its first Airbus A380 at a ceremony in Toulouse. 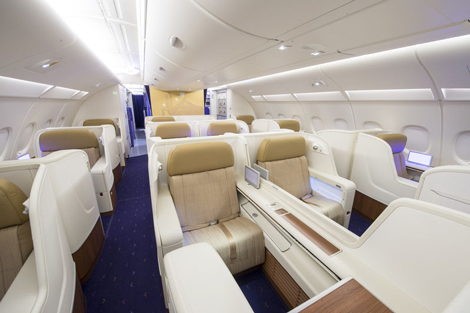 The carrier has a total of six superjumbos on order, configured for 507 seats with 12 in Royal First Class, 60 in Royal Silk business class, and 435 in economy (to view a seatplan of the aircraft click here). All passengers benefit from AVOD in-flight entertainment systems, individual power sources, and wifi internet and mobile phone access. 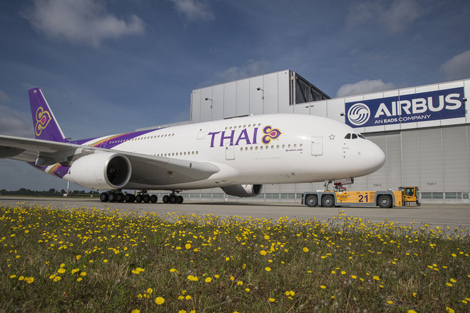 Thai took delivery of the aircraft during a ceremony at Airbus’ Toulouse headquarters, with highlights including a troupe of dancers representing the four regions of Thailand. 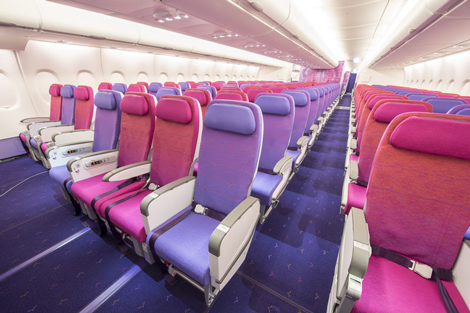 The carrier’s first A380 is set to enter service on October 6 between Bangkok and Hong Kong, with Singapore also set to see the superjumbo during initial bedding-in services. As Thai Airways receives more of its A380 fleet over the next twelve months, routes to Frankfurt, Tokyo, Paris, Osaka and Sydney will follow, and the carrier should have received all six of its superjumbos by around October 2013. 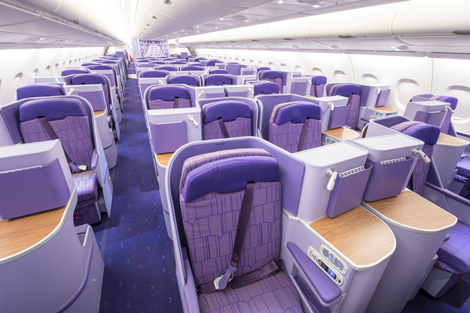 For more information visit thaiairways.com, and for our comprehensive guide to current and forthcoming A380 operators, including images, seatplans and seating information, click here.